Cute Cute Cute!!! 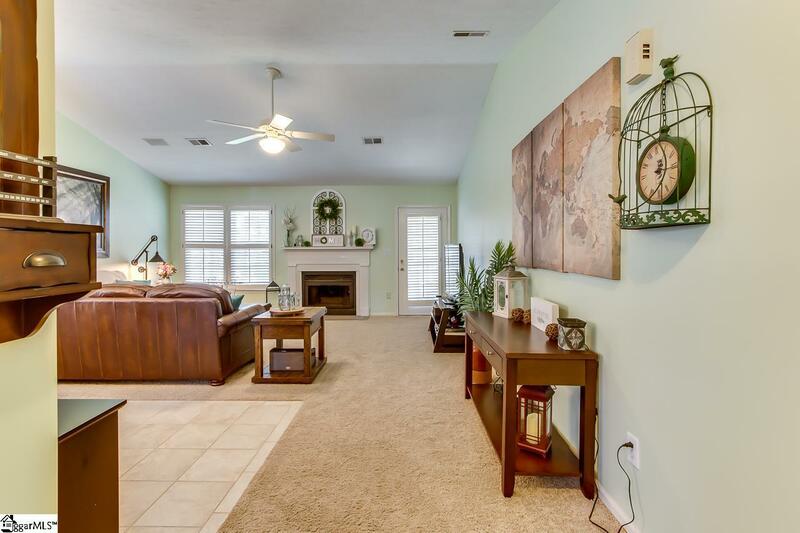 This adorable 2 bedroom 2 bath home is ready for new owners! One level end units like this do not come along every day with no neighbors behind you!! 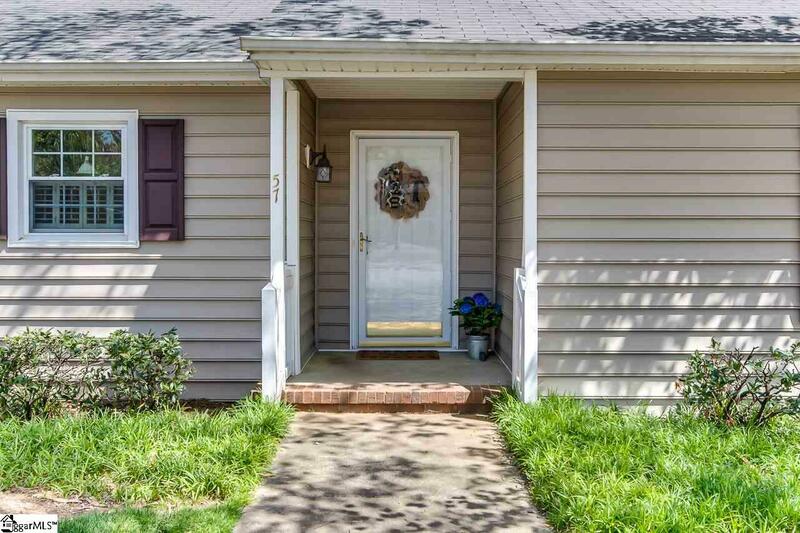 You will love the outside space with trees and mature plantings, the covered front porch and charming exterior. Inside the vaulted ceiling, hardwood flooring in the entry, and multiple windows let in the natural light. The great room is a perfect space for entertaining and features a gas log fireplace, plantation shutters and a ceiling fan with remote. The dining area has tile flooring with a double window and plantation shutters. The well equipped kitchen has hardwood flooring, white cabinets, a pantry closet, tile backsplash and a window overlooking the front yard. 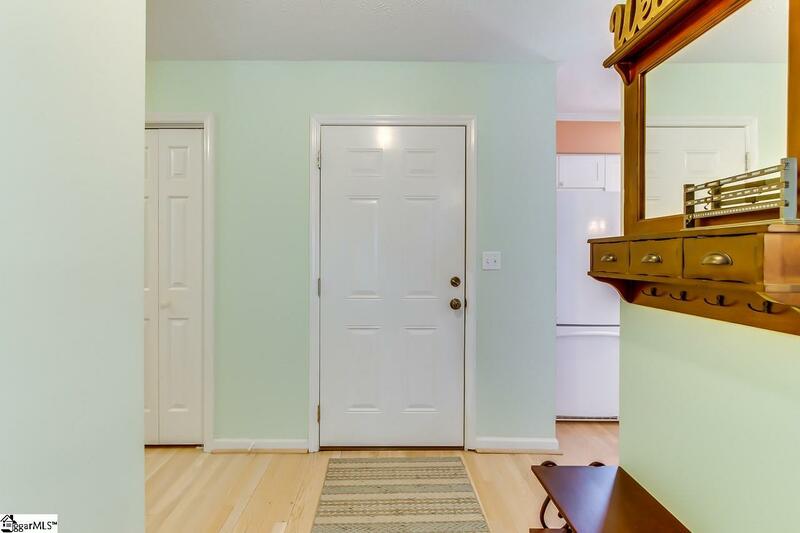 There is also a coat closet, linen closet and laundry closet with shelves for storage. The master bedroom is a good size and has its own full bath with a shower and two closets with a built in organizer. The secondary bedroom is a great spot for guests, a home office or workout space and has a large walk in closet. Bring your grill and entertain on the large deck with a pergola overlooking the back yard with trees. Neighborhood amenities include a pool, lawn maintenance, trash service, pest control and exterior maintenance. 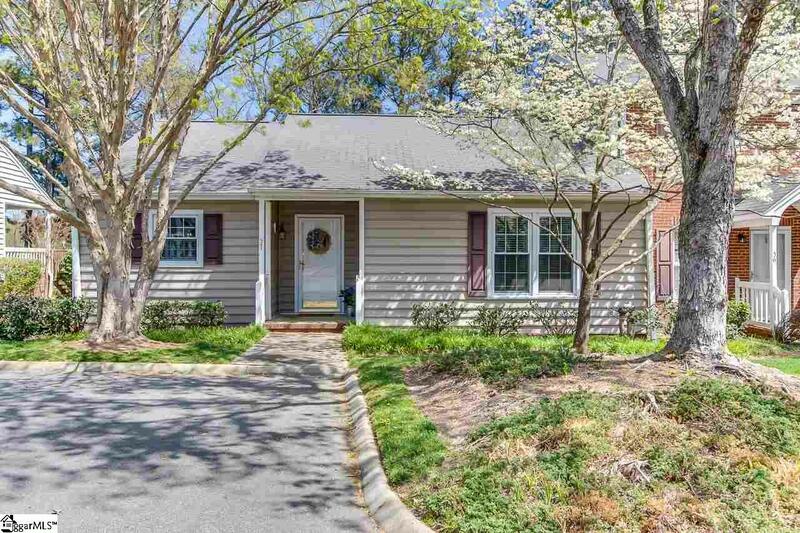 So close to the dining and shopping on Haywood or Pelham Road, minutes from 385 and downtown Greenville. Call today before this one gets away!